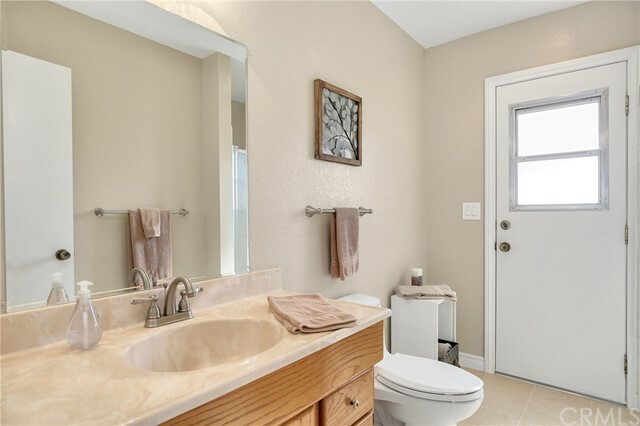 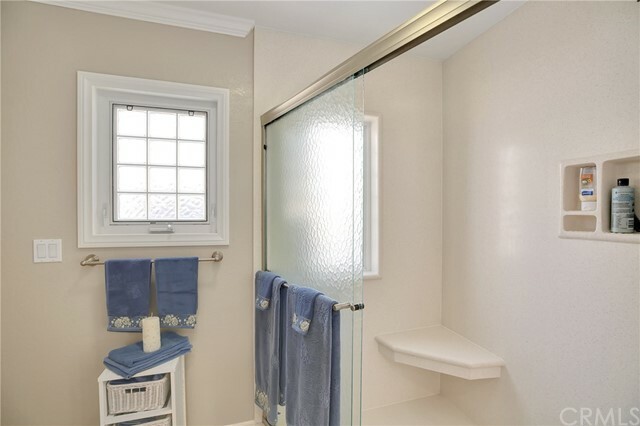 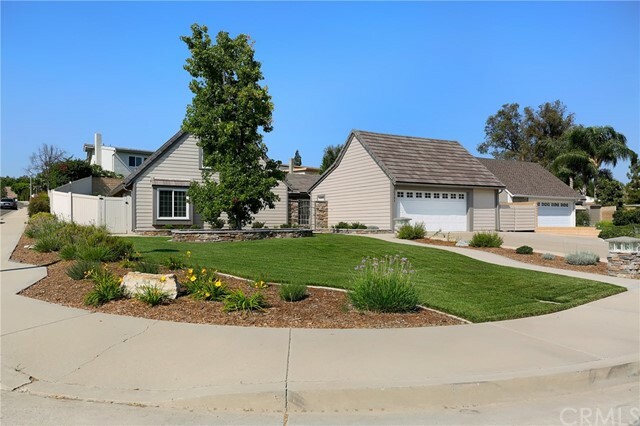 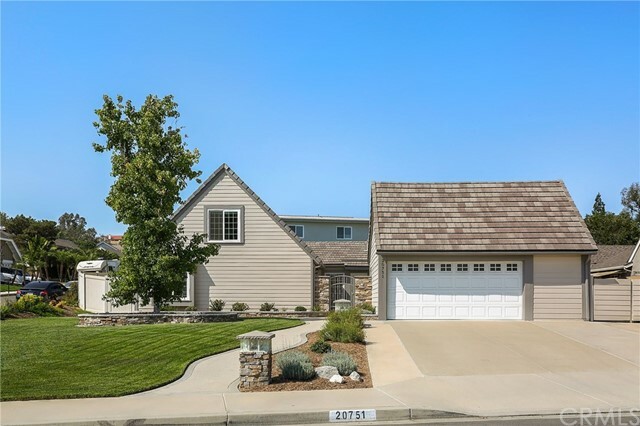 Meticulously maintained corner lot in a desirable cul-de-sac. 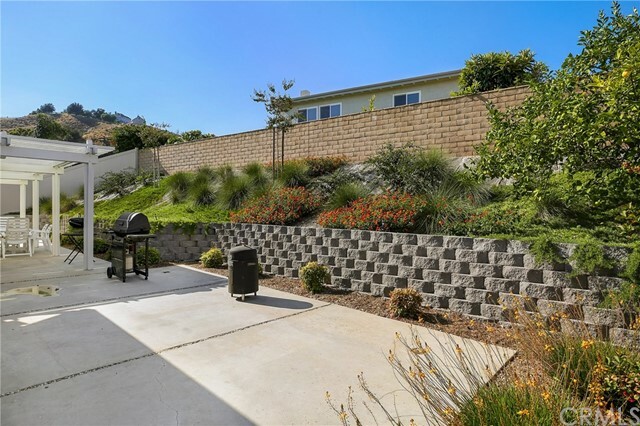 Sprawling, lush green grass, stacked stone accents, raised planter and well-manicured landscaping make for an impressive curb appeal. 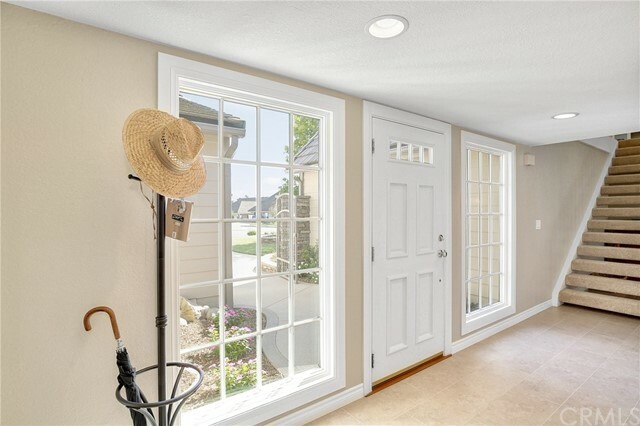 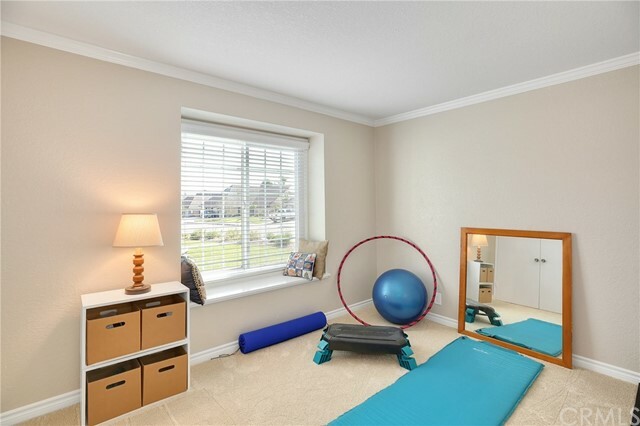 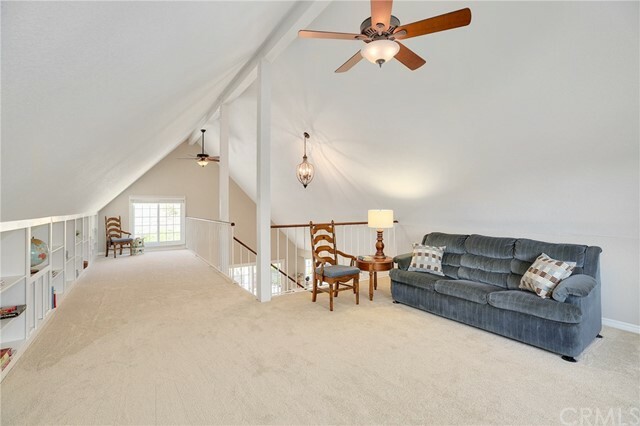 Enter to soaring ceilings, large light-catching windows with new window coverings, new flooring (tile and carpet)neutral paint that add to the elegance of the highly livable floorplan. 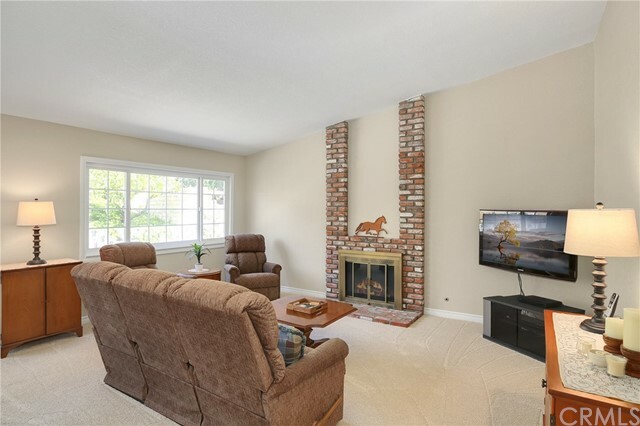 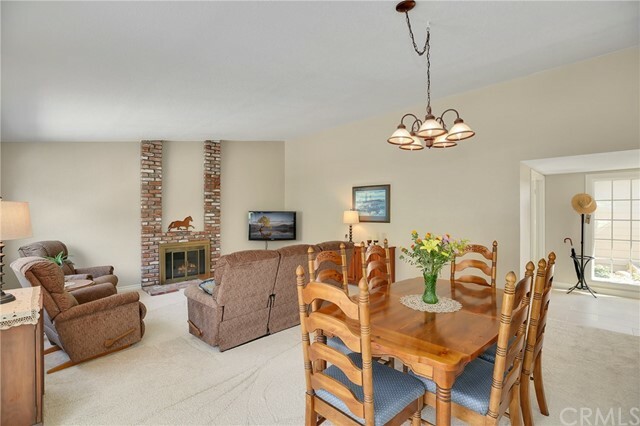 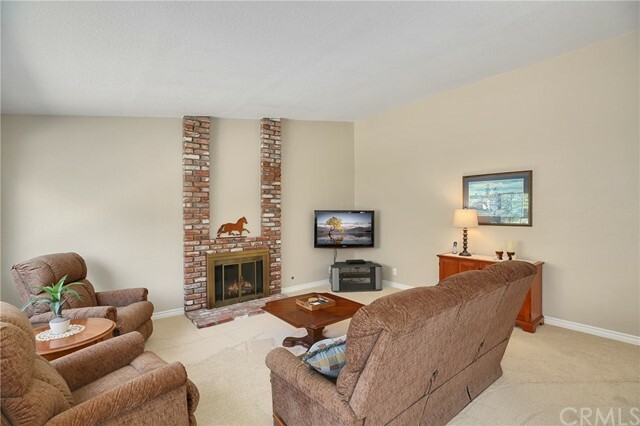 The spacious and inviting living room features a brick fireplace and sliding doors to the backyard. 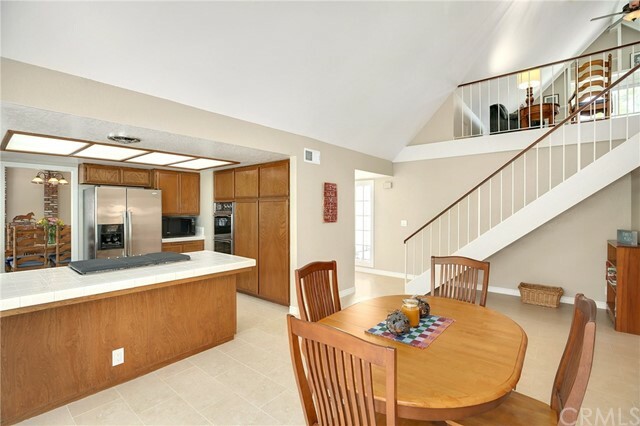 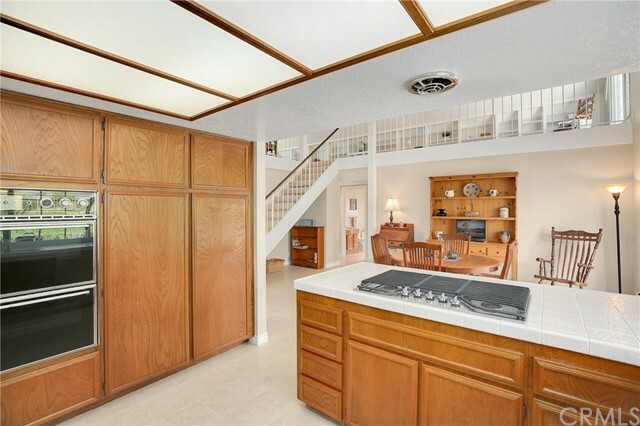 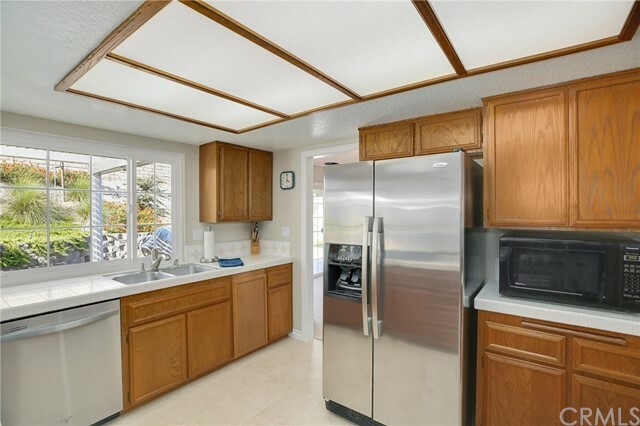 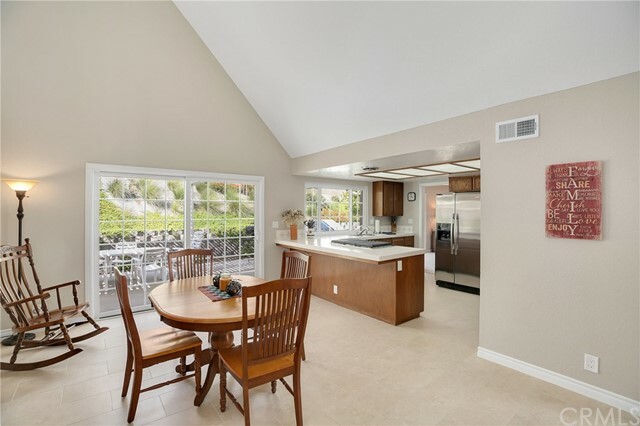 The adjacent kitchen is well-appointed with a new stainless cooktop and dishwasher and breakfast bar that opens to the dining room with sliding doors to the backyard. 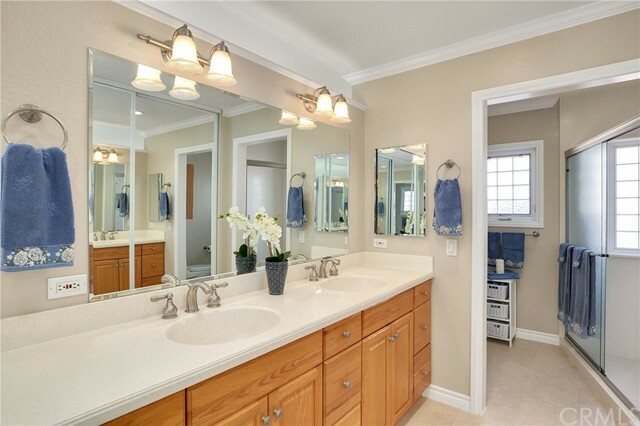 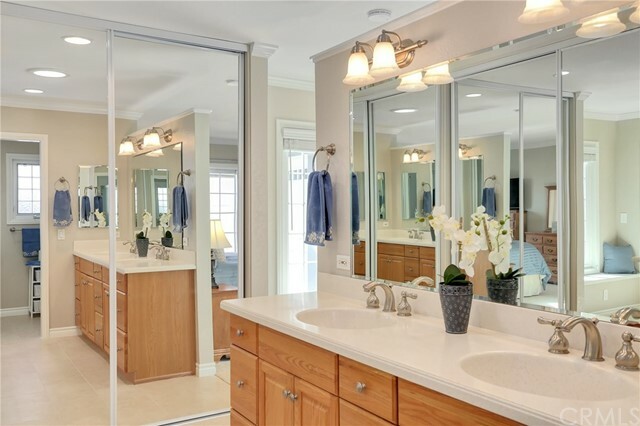 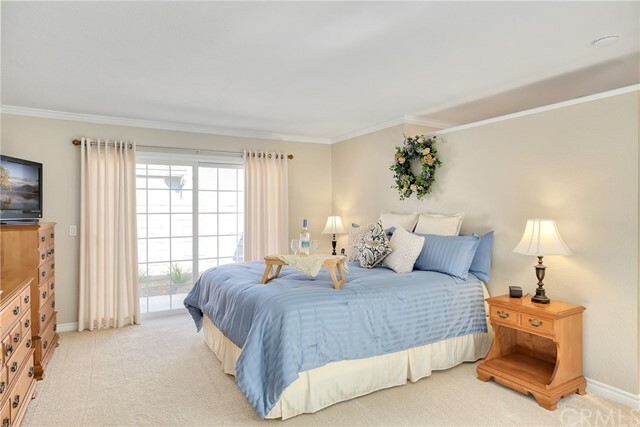 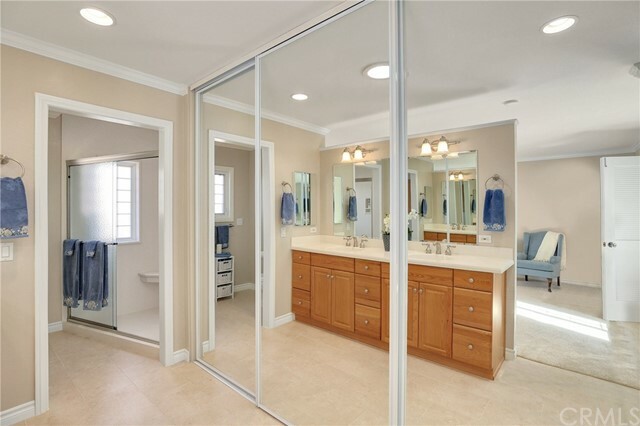 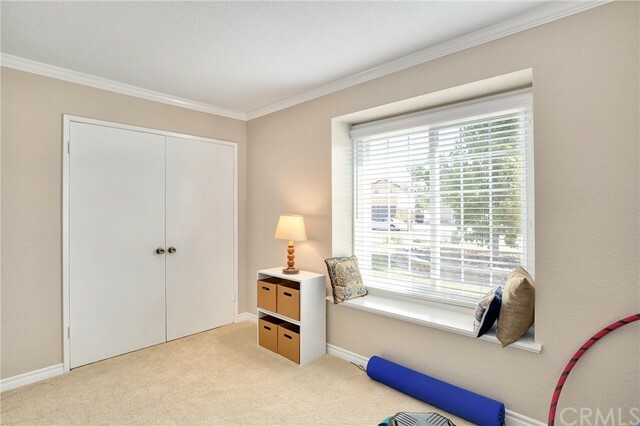 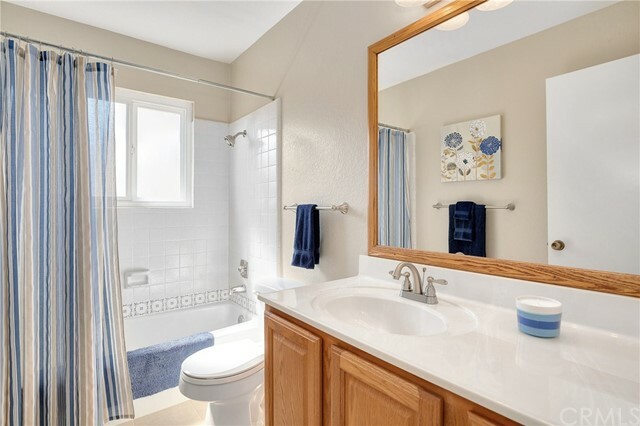 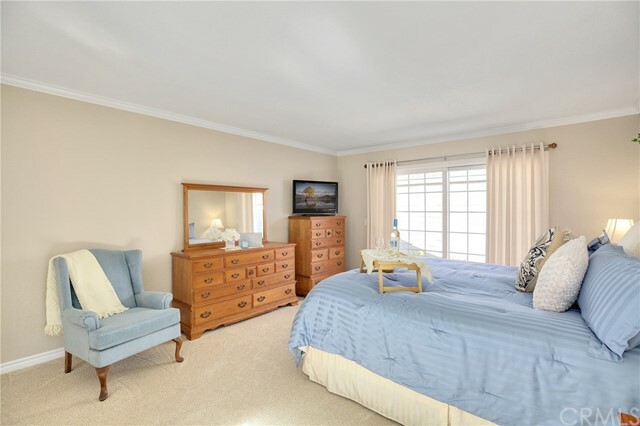 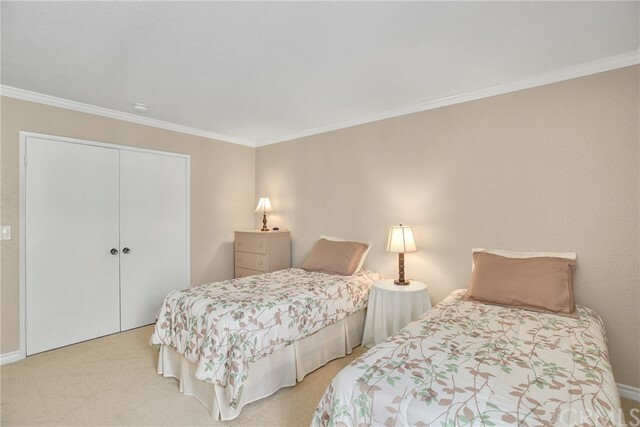 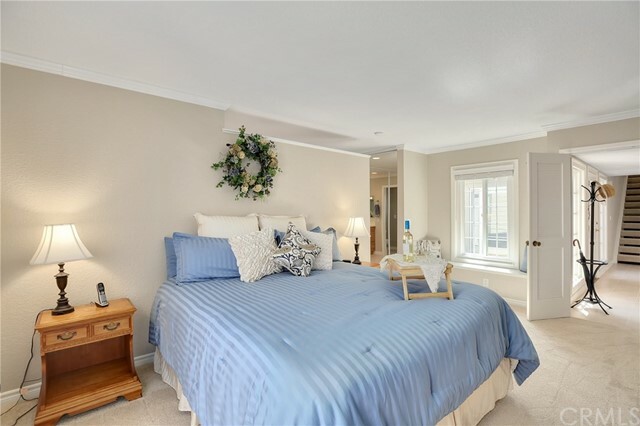 A sizable main-floor master bedroom offers crown molding, sliding doors to side garden and private patio, and an en-suite remodeled bathroom with dual sinks and a spacious walk-in shower. 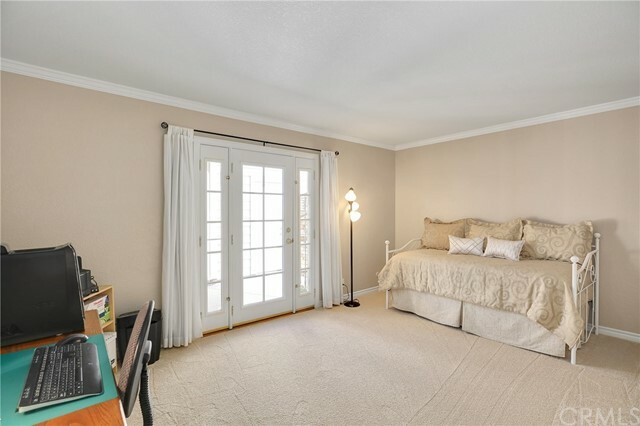 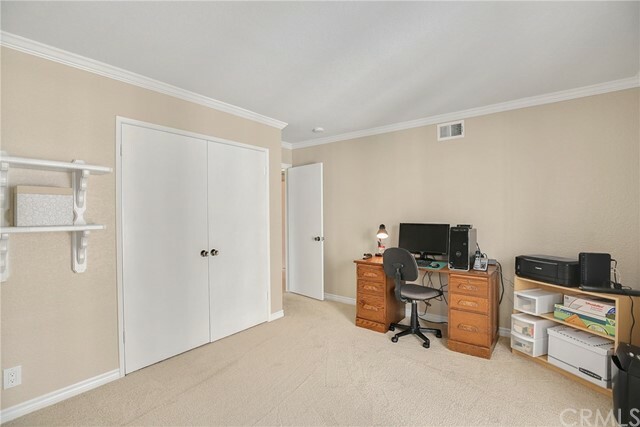 On the opposite side of the house from the master bedroom the secondary bedrooms are on the first floor, all generously sized and feature crown molding, private french door entrance to bedroom/office and share the two full hall bathrooms. 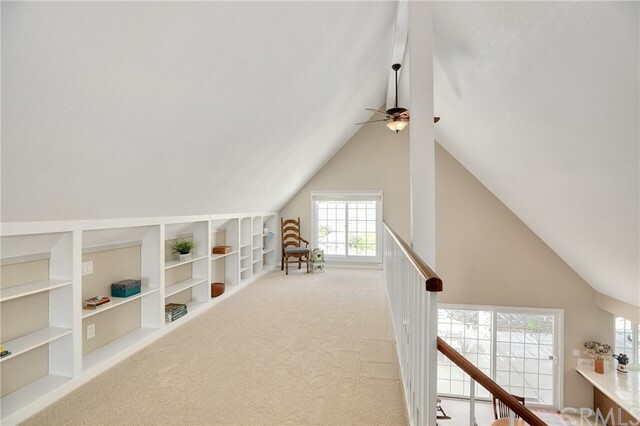 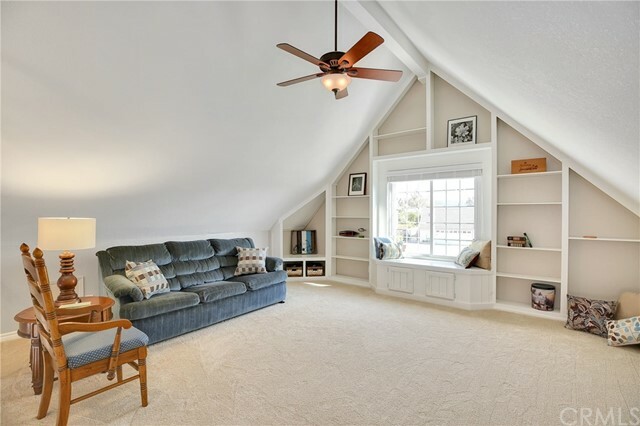 Upstairs is a huge bonus room with built-ins and view of the hills. 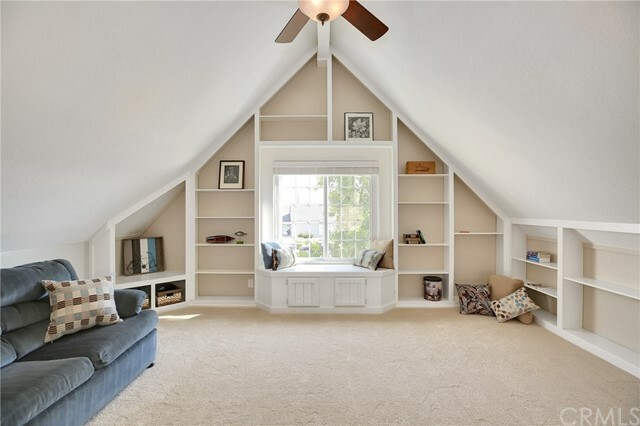 It's a multi-purpose room with endless possibilities. 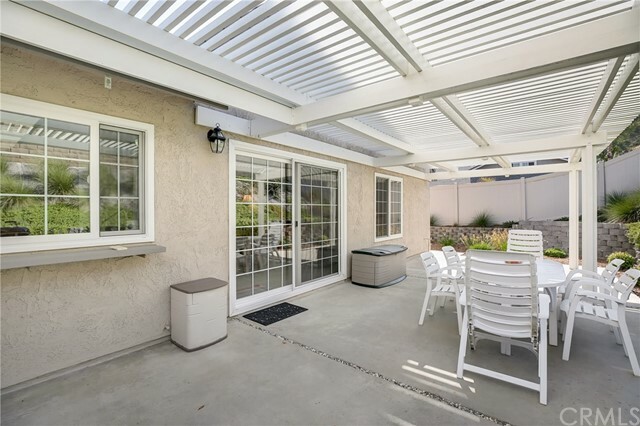 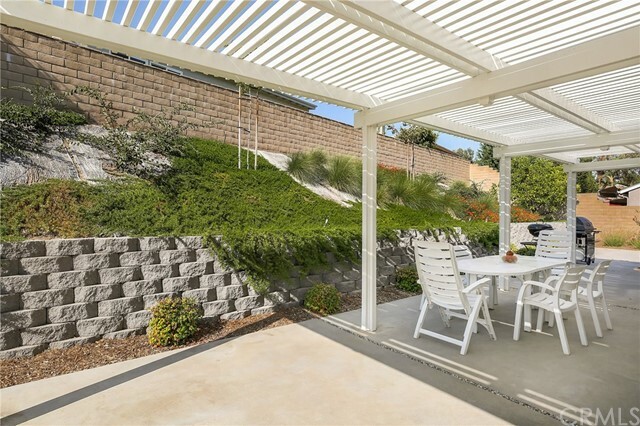 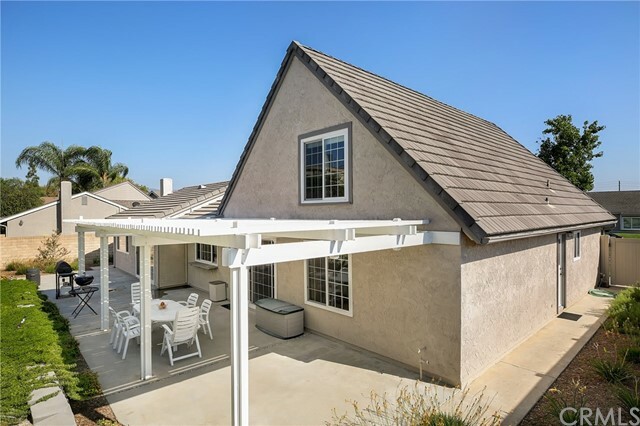 Enjoy relaxing or entertaining in the private backyard with wood patio cover and vinyl fence. 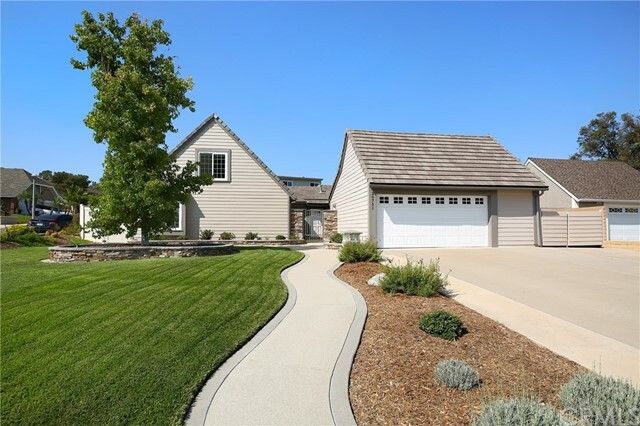 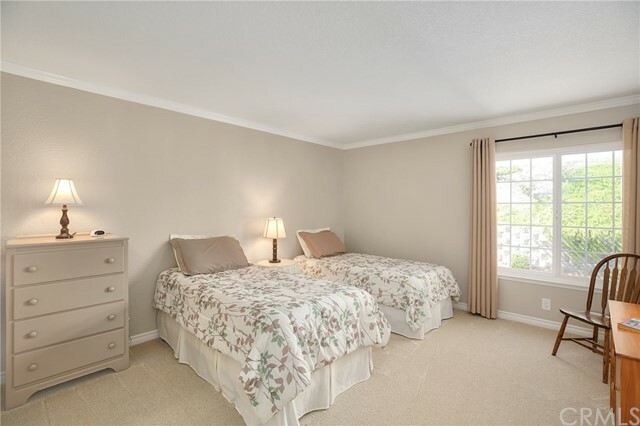 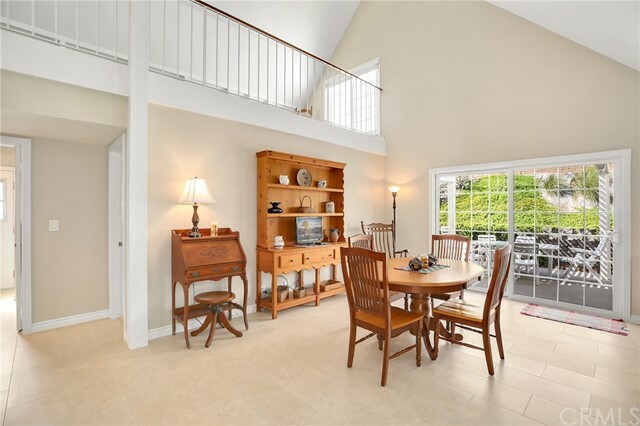 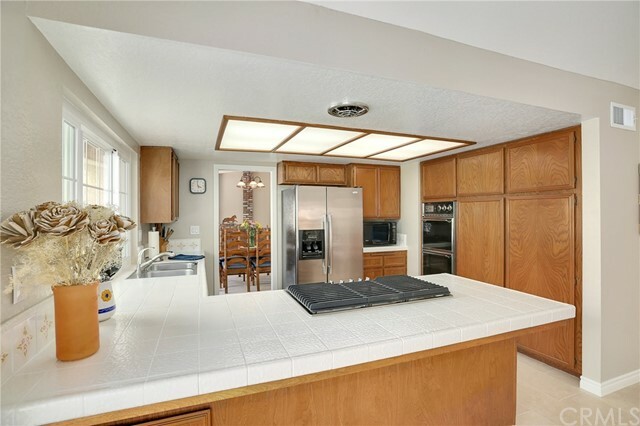 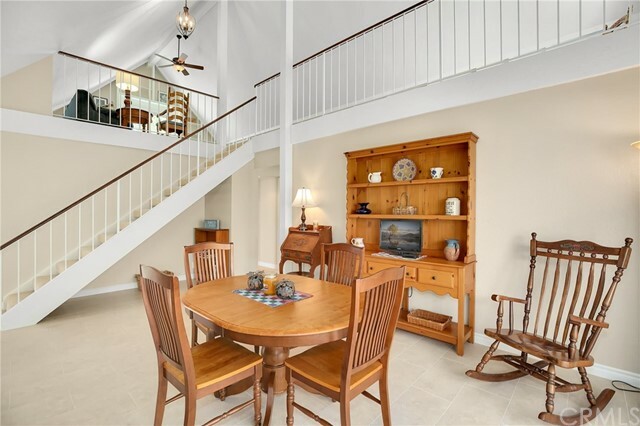 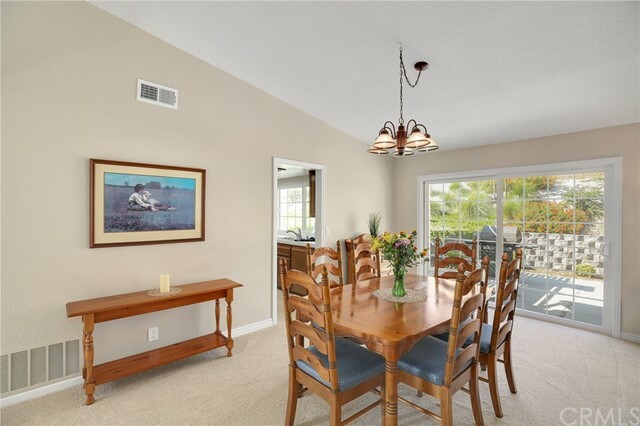 In addition, this home has an oversized two car attached garage with extended driveway. 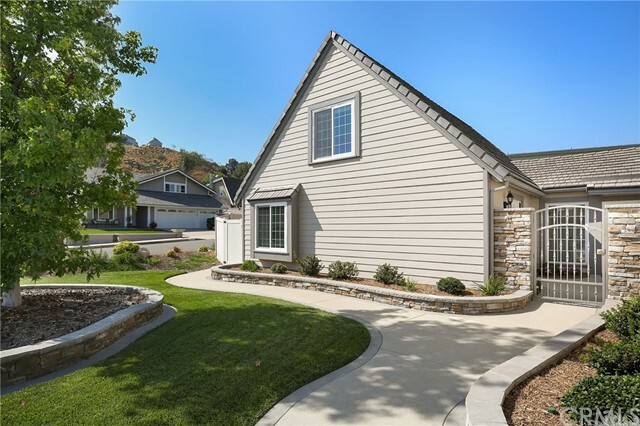 No HOA and award-winning schools, including nearby Travis Ranch Elementary School, make for gracious Yorba Linda living.